When I left for my run tonight I had a sink full of dishes, kids that needed baths still, and endless emails to respond to. There are hundreds of days that I feel tired and sluggish on my runs and I don’t want to do it. So many days where I lace up my shoes, go through the motions, and just get it done with no real excitement. But then, I have days like today. A workout that reminds me why I do this. During tonight’s run I felt like I was so focused that nobody could get inside my head. I suppose technically, I am the only one in my head. But, my mind started to wander and my thoughts became so clear. Tonight during my run my mind started to focus, and I started thinking of goals and dreams that feel so big and scary that I am afraid to even speak them out loud. Ideas that make me feel so vulnerable and excited that my stomach flips over and starts to churn. As I was running, I started to doubt myself and wondered to myself “Seriously? Who am I to achieve these big goals? I’m just a regular mom who comes from a poor family with a lot of kids”. But, then I picked up my speed a little and thought, “No. I am capable”. I was doing HIIT training and knew I had a sprint coming up. In the 10 seconds gearing up to sprint, I began to believe that I already am the woman who has achieved those goals that I haven’t yet achieved. I started to pretend that I am the person capable of making big changes. I begin to convince myself that it is possible. The phrase ‘fake it till you make it’ applied tonight. I tried to pretend what it would feel like to be the person I want to be, and those thoughts made me feel powerful. I used the power of those thoughts to propel my legs, and in that 20 second sprint as I was flying past mailboxes, I imagined what it would feel like to already have accomplished the goals I want to achieve. I believed it was possible. I use my workouts to help me become a better person. Not just to have a flat stomach, or toned arms, but to help me focus on creating my identity outside of being a mom. When I walked back in the door I still had a sink full of dishes, and kids with dirty faces who need a bath. But, for that 20 minute workout I was creating the person I want to become. 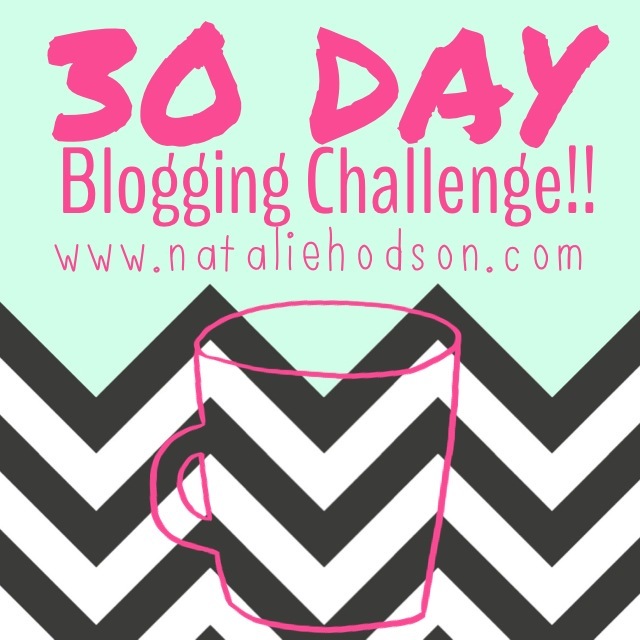 This is post #25 in my 30 Days of Blogging Challenge. If you want to read more posts I have written about you can click here to see the topics from each day. I can totally relate! My workout time is the only “me time” I get these days! Even though it’s not fun having to wake up at 4:30 AM to get it in, I’ve gotta do what I’ve gotta do, and I always feel great afterwards. 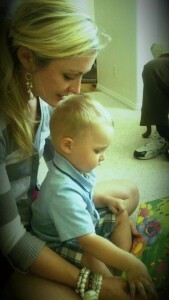 One of the hardest parts of motherhood for me has been not knowing who I am anymore other than my kids’ mom. Working out and finding other moms (like you) who have achieved the goals that I hope that achieve have given me the motivation and reassurance that I need to know it’s okay to want things for and focus on myself sometimes. There is a lot of pressure as a mom to always put everyone else’s needs before your own, but I feel like striving to be healthy and to be the best me that I can be helps me to be a better mom and person in general. Thanks for being such a great inspiration! All I have to say is I totally get it!!!! I am a mother to a 15 month old and while I’m pushing her and myself up a hill thinking one foot in front of the other as fast as I can I imagine what other people are thinking in their cars both good and bad and I imagine myself looking completely fit/toned and everybody being impressed ha ha! Or when I am turning on bubble guppies so I can get my resistance band training in I look in the mirror I think of who I want to be for myself, husband and daughter…you are an inspiration and a real women and mother who shares their truth…both good and bad…most fitness people only show the good not the real! 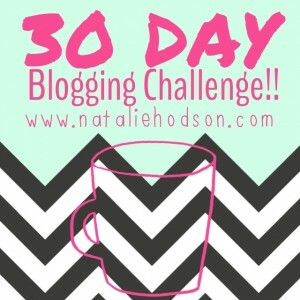 Great post Natalie! You are so inspiring to so many people. Have a wonderful day! I must say your blogs are great motivators and I look up to you for many things. I am recently married and I don’t have much responsibilities however, I still feel stressed sometimes since I have to cook different meals for myself and my husband and spend 9 hrs in office. Today I missed my workout because I was depressed about loads of sweets I had last might and that’s still running on my mind. Do you also sometimes feel pulled by a binge force. I try to control myself, but there are days that just don’t work in favor of me.